You asked, we deliver! This tutorial is going to picture the BURN2 but it applies equally to the BURN1 and APU1/AutoPROM as well. Get out your burner and a chip. Our burners will work with the AT29C256, SST27SF512, AM29F040 and F3/F3v2 chips we sell. 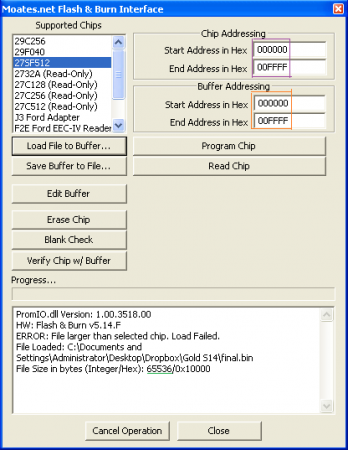 Our burners will NOT program 27C32, 27C128, 27C256, 27C512 chips but it will read them. Plug the burner in to your laptop’s USB port. 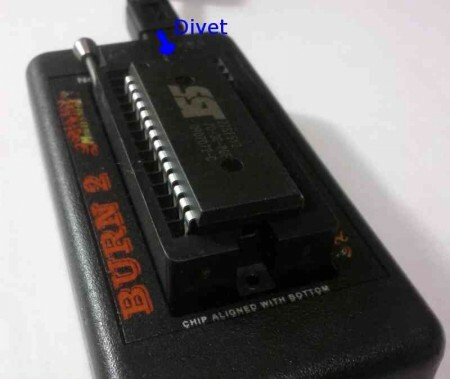 Install the chip per directions printed on the burner – the unused pins should be closest to the metal handle. The divet on the chip used to mark pin 1 should also face the metal handle. Try another chip. 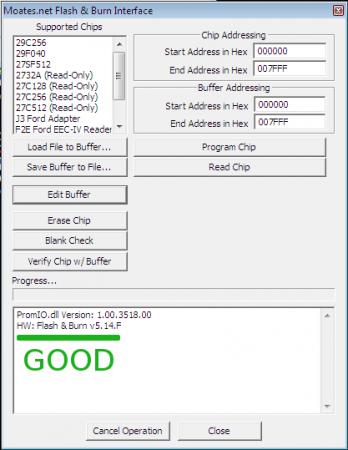 If your burner fails to erase several different chips, you probably have fake chips. If you are sure your chips are not fake, contact us for further assistance. 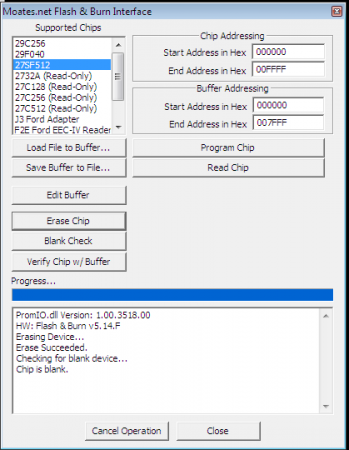 At this point, you have a blank chip correctly inserted in your burner with the correct chip type selected. 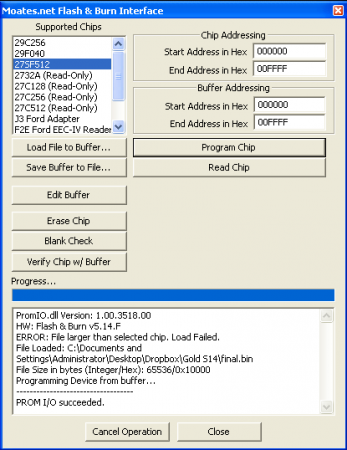 The next step is to load the file you want to program to the chip. To do this, click “Load File to buffer” and then point it at the file on your PC that you want to program. 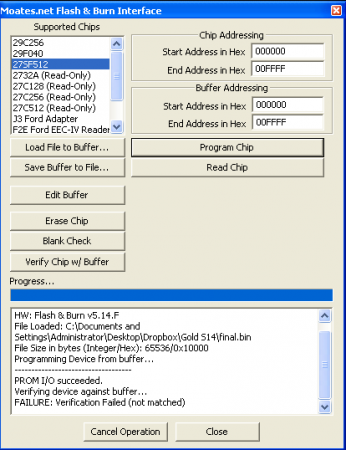 eBIN file CANNOT be programmed with FnB / TP. 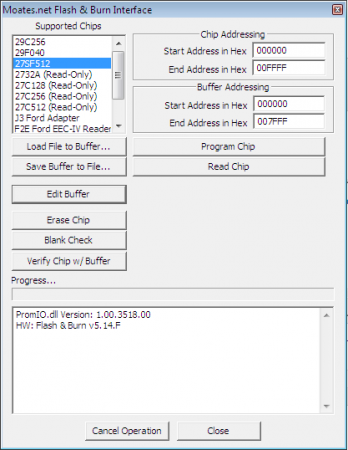 Must program using EEC Editor. 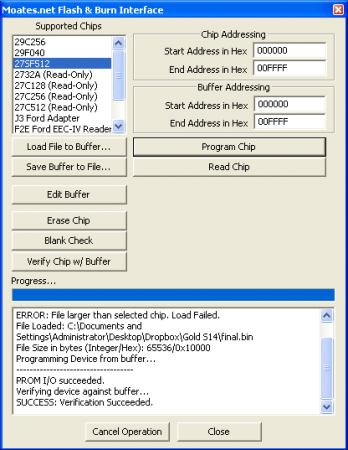 Now click “Verify Chip w/ Buffer” This will read the contents of the chip back and check them against the program you have loaded in the buffer. If this test passes, you can be confident that the chip was programmed correctly. You should see: “SUCCESS:Verification Succeeded” as the message reported back. If you see this, you are DONE and the chip is programmed correctly! Check and make sure the chip is inserted firmly in the socket. Remove it and re-insert it to be safe. Re-erase and blank check it. If it passes a blank check, try programming it again. If it fails the blank check, try another chip. Failing blank checks is a common sign of fake chips. 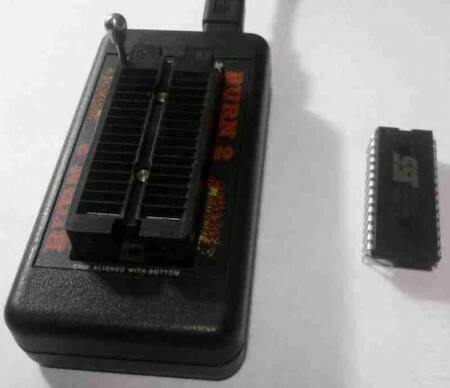 Try another chip purchased from us, xenocron.com, poweraddersolutions.com or another known legitimate source. If you’re still having trouble, contact us.